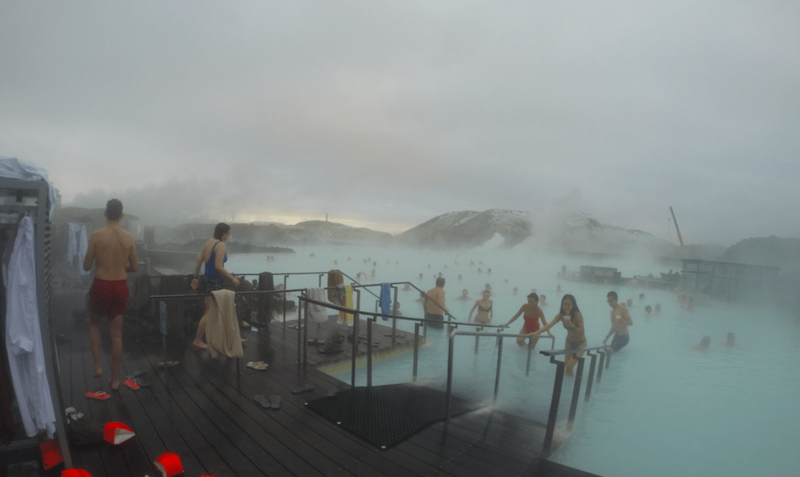 The Blue Lagoon is arguably one of Iceland’s most popular tourist attractions. Before visiting I read a fair few other bloggers posts and their advice on what to expect at the Blue Lagoon and in contrast some advice on not to go there at all but as I mentioned in my main Iceland post there was no way I was coming to the county and not going to the Blue Lagoon, so here’s my advice on how to visit if you’re the same sort of person as me and doesn’t want to miss out! A visit to the Blue Lagoon need not be any hassle and you can start your trip to Iceland feeling utterly relaxed or make sure you are completely de-stressed on the way home as it’s just a short 25 minute hop to or from the airport with easy bus and private transfers from Reykjavik and the airport, the information on the information on the Blue Lagoon website is really helpful in ensuring you get to the Blue Lagoon in time for your pre-booked slot. On that note, make sure you do pre-book your entrance as you won’t be guaranteed to get in without it! There are a range of different priced packages from the most basic at €35 right up to €165 which gets you a whole host of extra treats and goodies including some products to take away with you. I was on the most basic package meaning I needed to take a towel with me, don’t forget if this is the package you’re on! 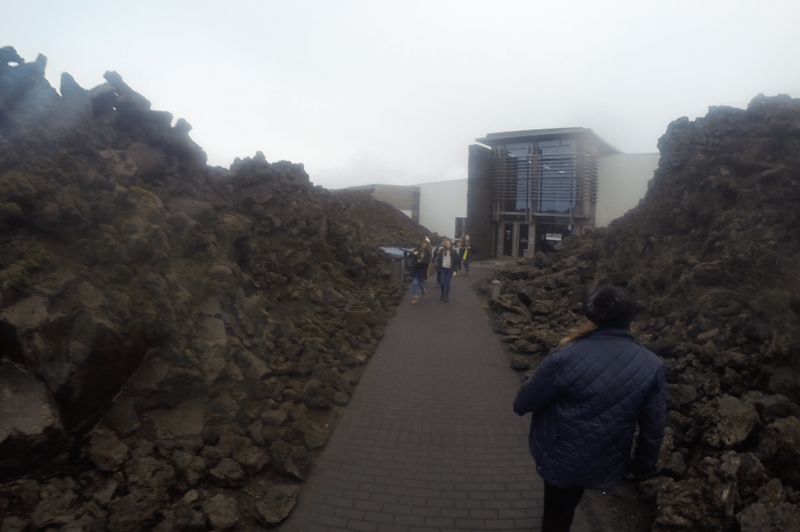 On arriving at the Blue Lagoon, the walk up to the entrance area feels super dramatic with the moonscape style rock lined pathway and will get you excited for what lies ahead. When you go through the main entrance and are met by the staff you will be given an electronic wrist band so you can pay for drinks and anything else in the lagoon area, you leave everything else except your swimmers, towel, waterproof camera and this wristband in the locker. Ladies and Gents (if you are fond of your tresses!) I recommend covering your hair in the conditioner provided in the shower area or bringing your own before getting into the water, I found this stopped my hair being affected from the sulphur and was a tip I picked up from a fair few places so feel the need to spread the word. You can take a towel out to the lagoon area and I would recommend this as even though it’s a short walk from the changing room to the water, it is freezing! There are various areas for hanging towels or robes and I was so glad I had made the decision to take mine out when I got out of the lagoon at the end of my visit. When you do brave the walk and get into the water, your body temperature won’t take long to adjust to the warm waters and a strange sense of calm washes over you despite sharing a bath with a 150 odd strangers! I headed straight to the bar and put that electronic wristband to good use and ordered a pink champagne! 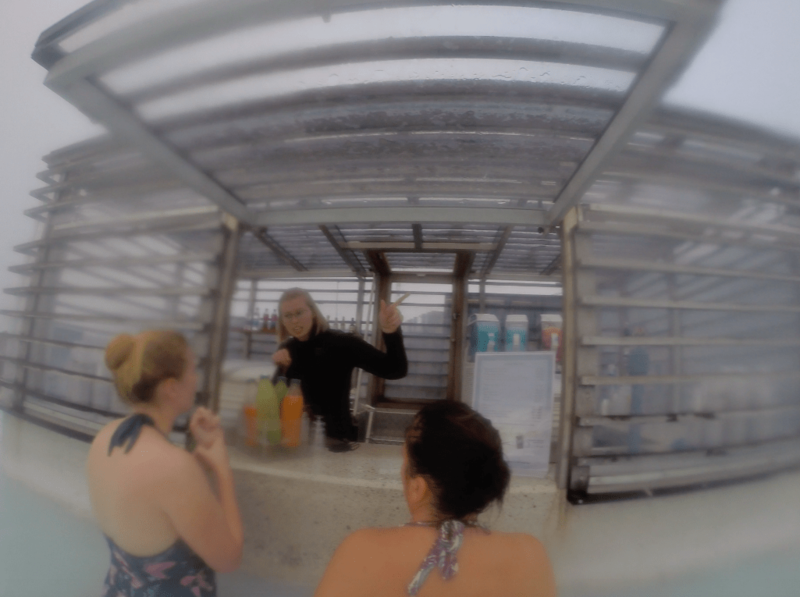 That’s right pink champagne in the Blue Lagoon…happy days! Once in the water, take your time to swim around the whole lagoon as it is beautiful and much bigger than you would expect so you can always find a quieter area to relax in, plus there are lots of cool little features such as a massaging waterfall, cave, steam room and sauna. 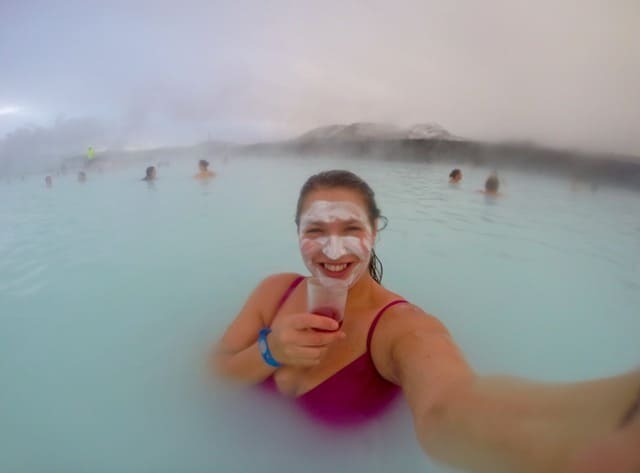 You don’t need to pay for a beauty treatment if you don’t fancy it as there are buckets of the silica mud dotted around the outskirts of the lagoon for you to apply as liberally as you wish at any point during your visit. I loved this stuff so much as it left my skin feeling so soft I did end up making some purchases! My recommendation is to try out the products in the Gift Shop or the official shop in Reykjavik but wait to purchase at the official Blue Lagoon shop at Keflavik airport. All the duty and taxes have been taken off and it’s much cheaper, you could of course always just claim the duty back on the purchases you make elsewhere but you do have to hit a minimum spend in each transaction so I would recommend purchasing at the airport. 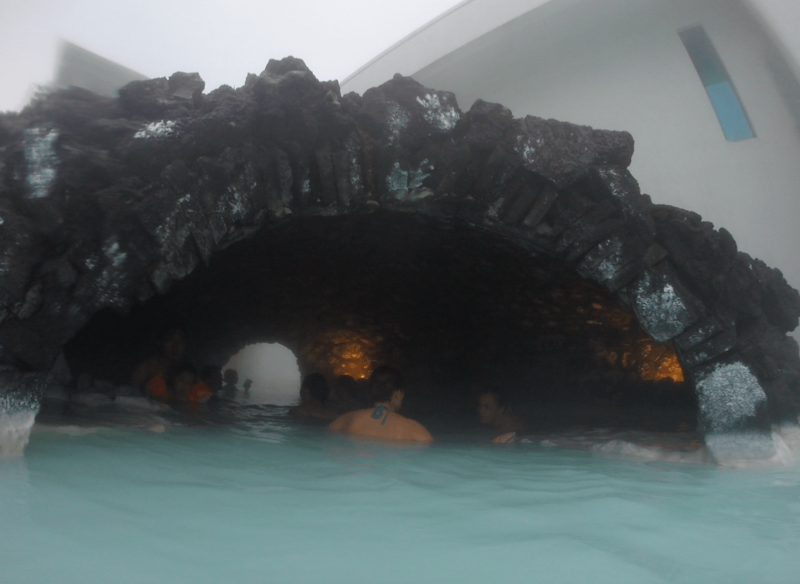 I have to say the three products I bought; the silica face mask, silica body scrub and the body moisturiser have become a guilty pleasure now I am back at home and help me feel like I am back in the Blue Lagoon feeling totally relaxed.